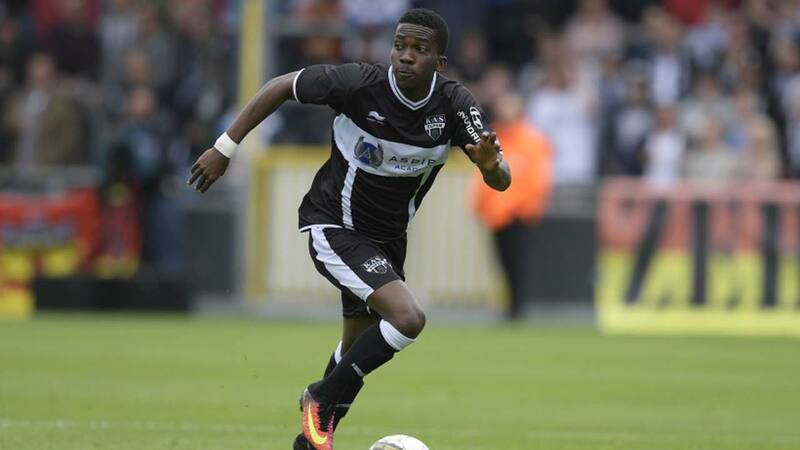 Spanish La Liga giants, Barcelona are keeping a close eye on Everton forward, Henry Onyekuru, who is currently on loan to Belgian top flight club Anderlecht, reports on local websites have indicated. Scouts from the Spanish club were present to witness Onyekuru find the back of the net for the seventh time this season during Anderlecht’s visit to Royal Excel Mouscron. The 20-year-old was signed by Everton last summer from Eupen but was immediately sent out on a season-long loan to Anderlecht, where his performances are attracting plenty of European attention. Onyekuru has also starred in the UEFA Champions League group stages this season with reports that Premier League club Manchester United want to secure his signature. The Merseyside club has a real talent on their hands and Onyekuru could easily break into the starting side at Goodison Park following his return from his loan spell. However, the temptation of playing for Barcelona could turn out to be a difficult one to turn down. The Nigerian youngster made his official debut for his country in their 2018 FIFA World Cup qualifying fixture against Algeria on November 10 in Constantine and will be confident of securing a place in the squad for the tournament in Russia. Onyekuru’s goal against Royal Excel Mouscron in the last round of matches in the Belgian First Division A was eye-catching enough to be a contender for the Goal of the Week award. Top Belgian newspaper, Het Nieuwsblad has picked Onyekuru’s second half effort and strikes from Kaveh Rezaei (Charleroi) and Ruud Vormer (Club Brugge) as the best goals of the week in the Belgian top division. As at the time of this report, Onyekuru was third in the poll with 13 percent, behind Vormer (68 percent) and Rezaei (19 percent). With the game tied at 1-1, the Nigeria international combined with Algerian Sofiane Hanni to get free in the penalty area, before firing past goalkeeper Logan Bailly in the 80th minute. The Everton loanee now has seven goals in 14 appearances for Anderlecht in the regular season.